Lauren Mote—co-proprietor of Bittered Sling, internationally celebrated mixologist, and recent inductee into the Dame Hall of Fame—shares three recipes for tequila-based cocktails. See the rest of them, here. Using some more unique ingredients, like the lightly bitter liqueur Yellow Chartreuse, we are able to change the dimension of the simple “daisy”—or margarita—and elevate its taste. Add all ingredients to a shaker, add ice, and shake for 5–7 seconds. Double strain into a highball glass filled with fresh ice. 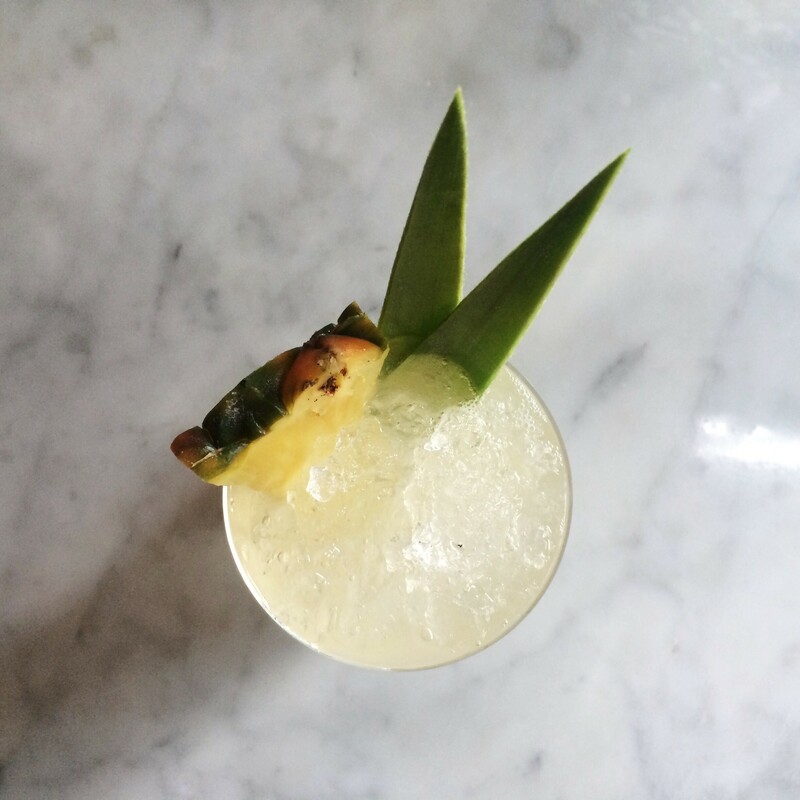 Garnish with a pineapple triangle and pineapple leaves.